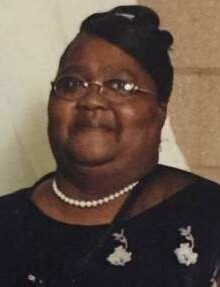 Willie Leatha McBryde 72 of Maxton transitioned into eternal rest on November 25, 2018. The Family will receive friends at 301 Wilmington Street, Maxton NC. John Brown is the Pastor. Burial will follow in the Hillside Cemetery in Laurinburg. Survivors are: Daughter: Carolyn McBryde, Wanda Gay (Timothy) and Tina Boatwright (Michael). Son: James Cousar (Ida). Brother: Willie Cousar (Eutha Mae). Sisters: Hattie Austin, Mammie Davis, Deloris Allen (Edgar). 16 grandchildren and 8 great grandchildren.